You know I love some of the fun things our family has been able to do because of the US Family Guide. 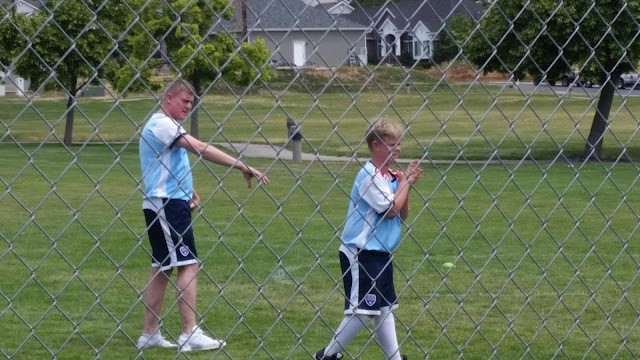 Curly has been waiting for months to participate in his very first British Soccer Camp! 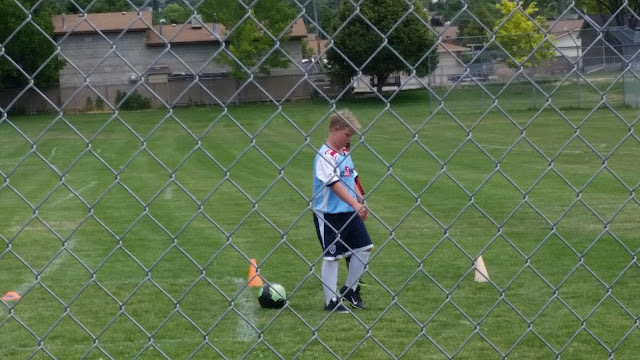 Actually, it's his very first soccer camp of any kind. Although he loves all kinds of sports, soccer is not one that he has much experience with, but in typical Curly fashion, he rose to the top and became one of the best players of the week. I had never heard of Challenger Sports' British Soccer Camps before and I was definitely surprised to learn that they are available all over the country. In fact, when I first pulled up their website, I almost dared them to have camps near my home, and I was pleasantly surprised to find quite a few choices. The camp was split into two different classes. 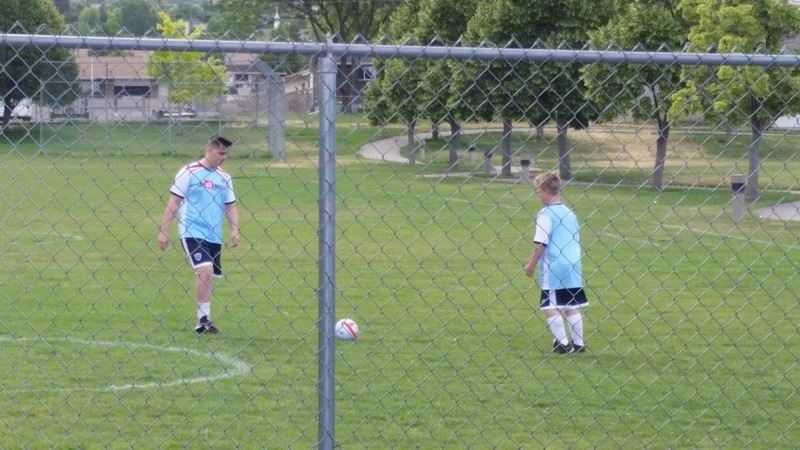 The morning class had 2 coaches, Charlie and Corey, and there were about 18 kids under the age of 12. If you remember, Curly is 8, so that put him squarely in the middle of the group. The camp ran from 9 - noon and then they had a break for lunch. Most of the kids did not choose to participate in the extra afternoon training although at $57 more, I thought it was a bargain for the 4 days. There were only 4 kids signed up and they got 2 kids to each coach attention on specific moves and tips for another couple of hours. Curly was on the Ecuador team and they took 2nd place in the "World Cup." He also turned out to be a pretty good goalie for someone who hadn't played soccer since he was 3. A couple of things... Curly had a difficult time understanding his coaches for the first little bit. They are from England and they do have pretty thick accents, but they were good at soccer and it was easy for them to show the kids how to improve their games. Next, have your child bring a jacket and plenty of water. It was mid-June here in Utah and it still got pretty cold. A backpack stocked with treats would also be helpful since they are given breaks, but food is not included. And last but not least, if you coaches are getting the kids all excited about a "World Cup," then you'd better have at least something that looks like one for them to see. Curly was disappointed when the "cup" turned out to be nothing but a soccer ball wrapped in a shirt.